With no worries about preparing the festive feast (and no washing up afterwards), a winter sun Yuletide in the African sunshine is very appealing. While some may dream of a white Christmas (although, let's face it - how often does that happen? ), others long to escape the inevitable colder weather with thoughts of basking in warm sunshine and the occasional dip in the pool to cool down. Looking for a festive holiday in the sun? A tranquil retreat or a lively celebration - we're sure you'll find something to tempt you with our range of properties to suit all budgets, while gala dinners are included on Christmas Eve and New Year's Eve so, even if you travel home on 25th December or 1st January, you won't miss out. 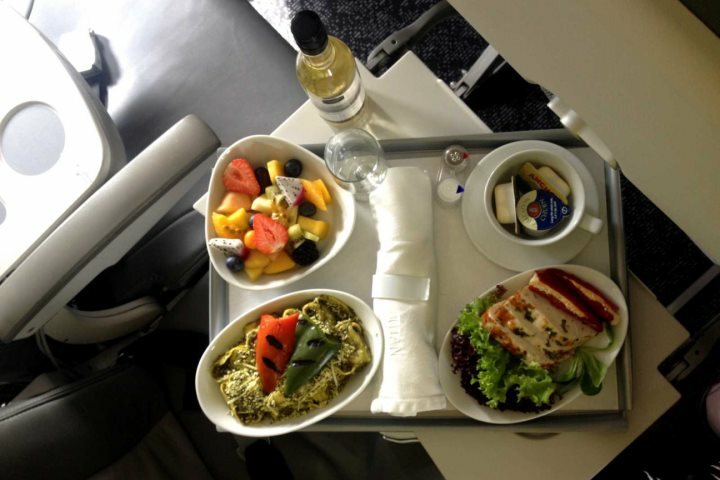 Why not book our Star Class flight upgrades to make it even more special? Hotels and flights are filling up fast! We recommend booking now, as the flights and the hotels are also filling up. 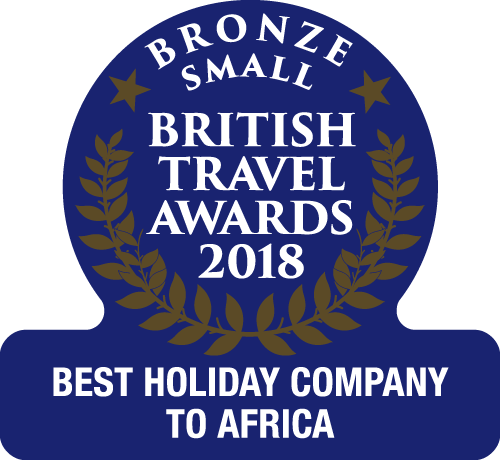 We’d also recommend considering a twin-centre, tailormade holiday combining one of our beachside hotels with a stay beyond the beach, perhaps at the spectacular Mandina Lodges or even one of our Senegal hotels. Transfers are relatively short, making many different combinations possible. To start your holiday in style, why not upgrade your flights to Star Class and enjoy an even more comfortable flight, a larger luggage allowance, superior meals, complimentary bar service, access to airport lounges and so much more? Find out more about flight upgrades on our website. The Christmas celebrations at Kombo Beach Hotel are very popular with our guests. The hotel looks beautiful with the festive decorations under a starry sky. 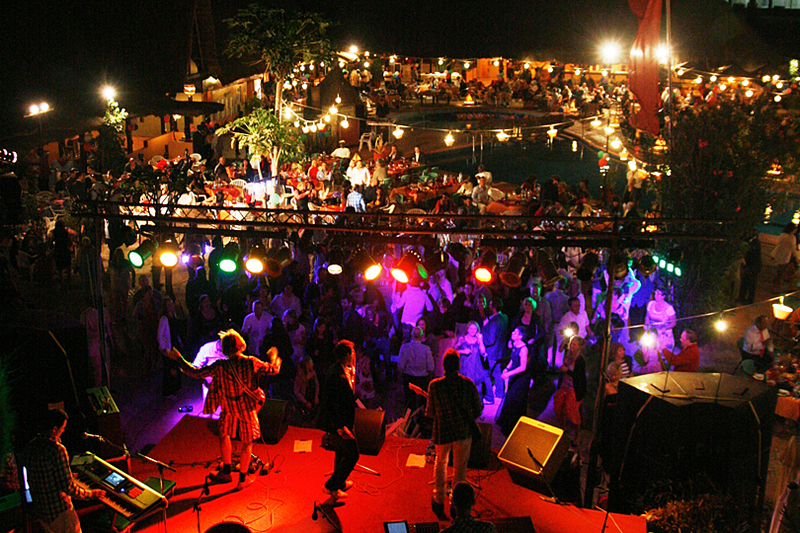 There’s a fabulous buffet to sample, the best local cultural entertainment, as well as a professional band from Europe. It’s a night you’ll remember for a lifetime, that will leave you wanting to come back year after year, like so many do. But you don’t just have to take our word for it. Here’s what a number of guests had to say about their experiences of celebrating the festive season at Kombo Beach Hotel. “My partner Paul and I have been coming to The Gambia annually since 2008 to spend Christmas and New Year at The Kombo Beach Hotel. There are many reasons that we do this but top of the list is the warmth and friendliness of the staff and management. I don’t think there could be a hotel in The Gambia that goes to so much trouble to ensure their guests have a memorable and enjoyable festive holiday. The Christmas and New Year’s Eve Gala Dinners are wonderful. To start the evening off we are invited for cocktails so that we can mingle with the other guests. The party area is set out poolside and looks wonderful. We always have lots of entertainment - choirs, dancers and a first class band for the dancers among us to party into the early hours. Finally the buffet - it really has to be seen. It must take the hotel chefs and their staff weeks of preparation and cooking to produce the magnificent hot and cold buffet that we enjoy. It really is a masterpiece of hard work. “My family and I have celebrated New Year's Eve at the Kombo Beach Hotel several times now. Every year is as good if not better than the last. You can feel the party atmosphere from the moment you arrive until the moment you leave and the table service is excellent! 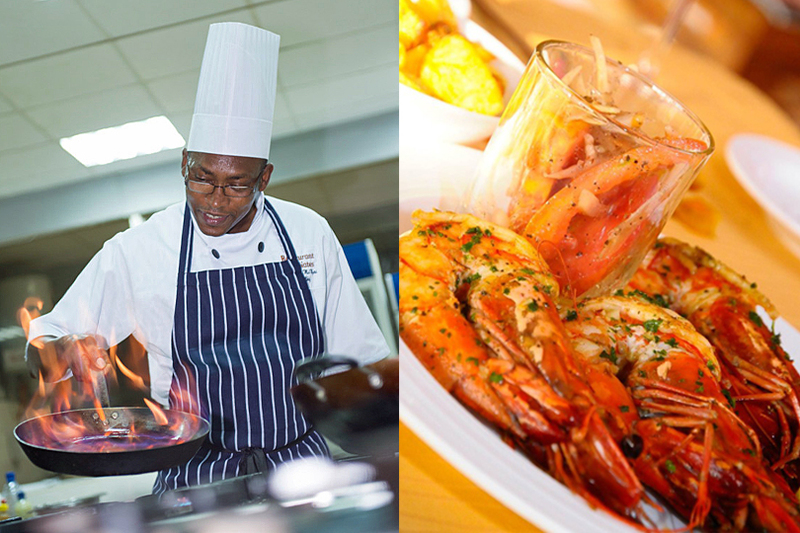 Hats off to a fantastic team of chefs who provide a magnificent buffet of delicious food! It is all served in such an array of artistic style that it has cameras popping everywhere! The entertainment is always superb and you can dance the night away to live music before and after the bringing in the New Year. The excellent manager and his staff go out of their way to make the night go with an absolute swing! 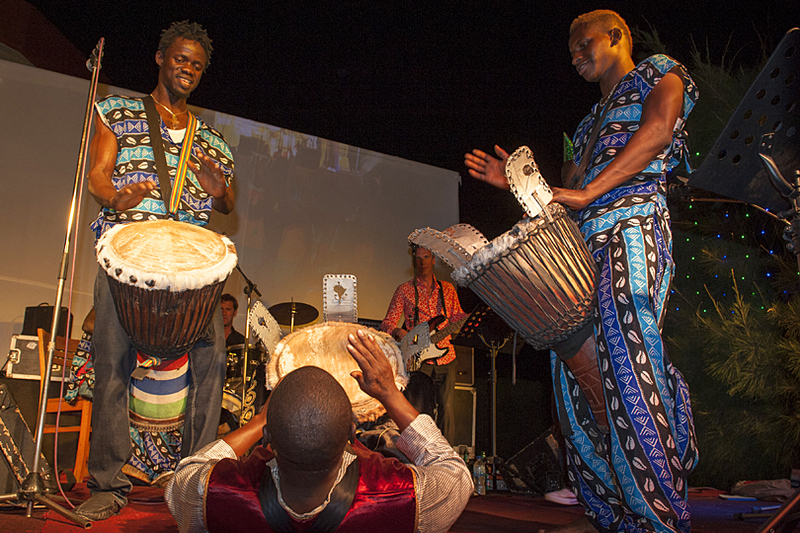 Tempted to spend this Christmas and New Year enjoying the African sunshine? 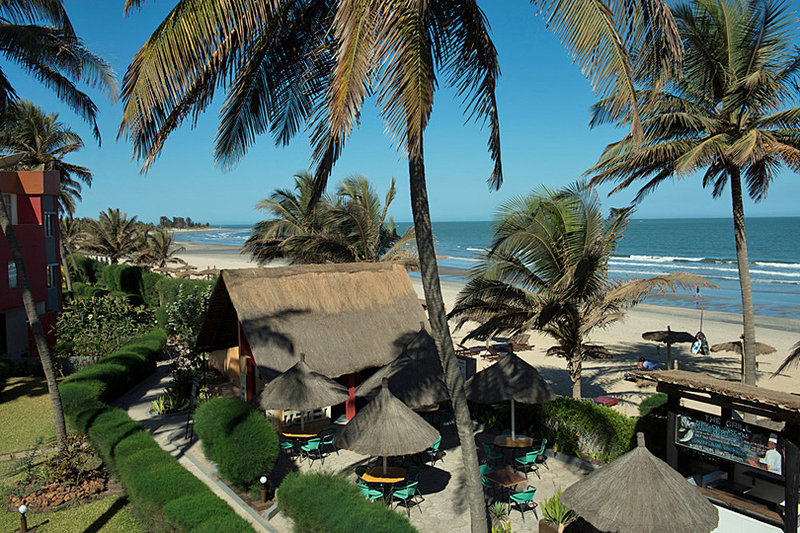 Visit our website today for more information and prices for holidays in The Gambia this Christmas and New Year.